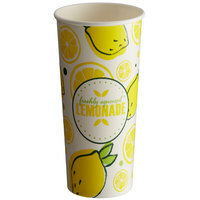 We offer cold paper cups that are made with black, blue, green, and other colored exteriors to best fit the décor and personality of your business. In addition, there are several dozen paper cold cups that are environmentally-friendly so you can reduce your business's carbon footprint. 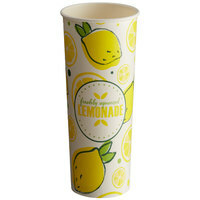 Whether you want a solid color product to create a sleek, uniform appearance or wild designs that are sure to attract customer attention, we have the perfect paper cold cup for your needs. Also make sure to check out other great items from Carnival King, Choice, Creative Converting and Dart Solo. 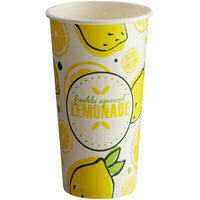 Our selection of cold paper cups includes products from some of the most well-known name brands in the industry, ensuring you can pick out a product you like from a vendor you trust. 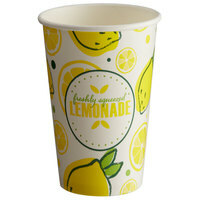 All of these paper cold cups are made with full, rounded rims for customer comfort while drinking, and their easy-grip exteriors prevent drops and spills. With a paper cold cup for nearly every restaurant and application, finding the perfect addition to your business has never been easier. For additional products to go with your cold paper cup, check out our categories of straws, paper cup lids, and cold drink concentrate. If you're wondering where to buy carnival king paper cold cups, we have a large selection of carnival king paper cold cups for sale at the lowest prices.